As you know, I adore the designs of Cynthia Betts. She is truly a visionary in the world of weddings. Her designs capture beauty and elegance in amazing ways. She has two table designs currently at Zephyr Weddings in Coralville. I had the privilege of photographing them for her while I was there taking pictures for Zephyr. This past Sunday, I had the privilege of meeting so many amazing brides and grooms at the Weddings in Iowa Preferred Vendor Show at the Iowa Memorial Union. The turn out was wonderful. I always have so much fun visiting with the brides and grooms. We had a lot of entries for our door prizes and many entered our Amazing Wedding Giveaway! I can't wait to see how the voting goes in March and look forward to working with the winning couple!! Remember, if you haven't already shared your love story with us, go here for your chance to win. On Saturday, I had the adorable little Miss Veda in my studio. What a little ray of sunshine! 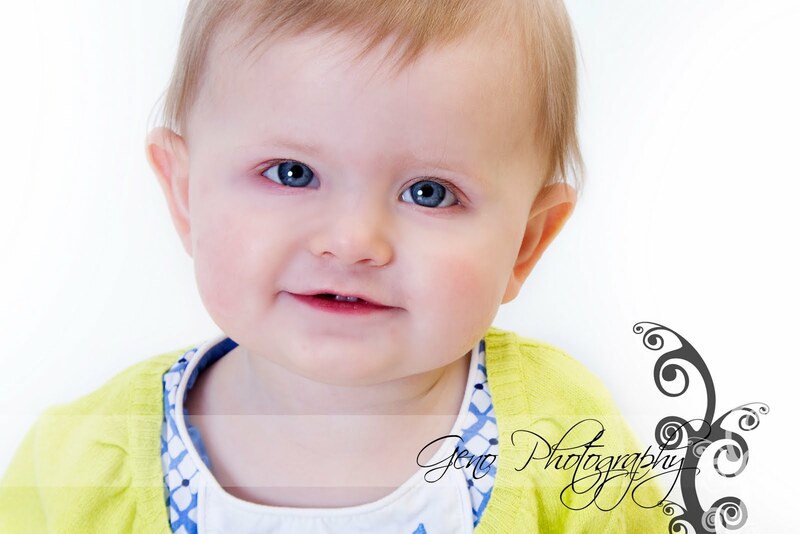 She was so adorable and so much fun to photograph. Veda was a pro! So smiley and happy! I am absolutely in love with her blue eyes and her two-toothed smile. The last time she was in the studio she was only a few weeks old. My how she's grown! I look forward to having her back in May for her one year session. Valentines' Day is here and love is in the air! In the spirit of love, I am giving away some amazing prizes. FREE Wedding Photography. Package includes: engagement session, all day coverage by two photographers, disk of high resolution images, and online viewing. $1000 off your photography package. $500 off your photography package. Leave a comment telling your love story and why you deserve to win. I will select ten entries to enter the final vote on March 6th. Once the finalists are selected, the voting will begin. Finalists will be announced on March 7th, so be sure to check back! * We are willing to travel anywhere, however travel fees may be applicable to weddings more than 200 miles from the Iowa City area. Feel free to contact us with any questions. * Stories must be submitted by 11:59PM Central on March 5. Any submission after the deadline will be disqualified. * The finalists' stories and a picture will be posted on our Facebook page. Your friends, families, coworkers, and other loved ones can vote by clicking "Like." This is to ensure there are not repeated votes. Voting will end March 19th and the winners announced on March 20th. * These prizes are only available for weddings taking place on or before December 31, 2012 and are subject to availability. To check our availability please visit our calendar here. * Weddings booked with Geno Photography prior to February 14, 2011 are ineligible. * A minimum number of entries must be received. 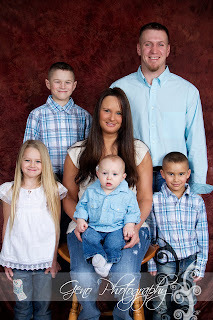 Yesterday, I was up in Clermont, IA to photograph the Turner family. They were an energetic bunch and great to photograph. 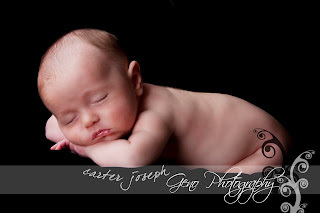 I have had a few sessions with them over the past year, including maternity and newborn session, and each time it's been a lot of fun. This is their first family photograph though. Last Friday, I was up in St. Michael, MN for a newborn session with the sweet little guy that is Carter Joseph. He was so much fun to work with. It took a while to get him to fall asleep, but once he did his adorableness just multiplied. I love the photos we got with his daddy's dog tags. So sweet!